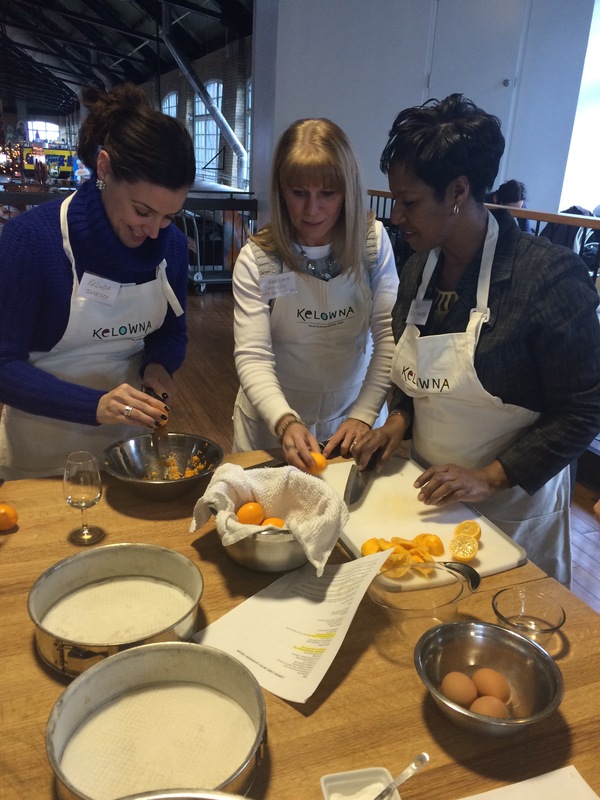 Pat, pictured sixth from left, educated and entertained Toronto meeting planners on Kelowna’s ingredients and meeting opportunities. 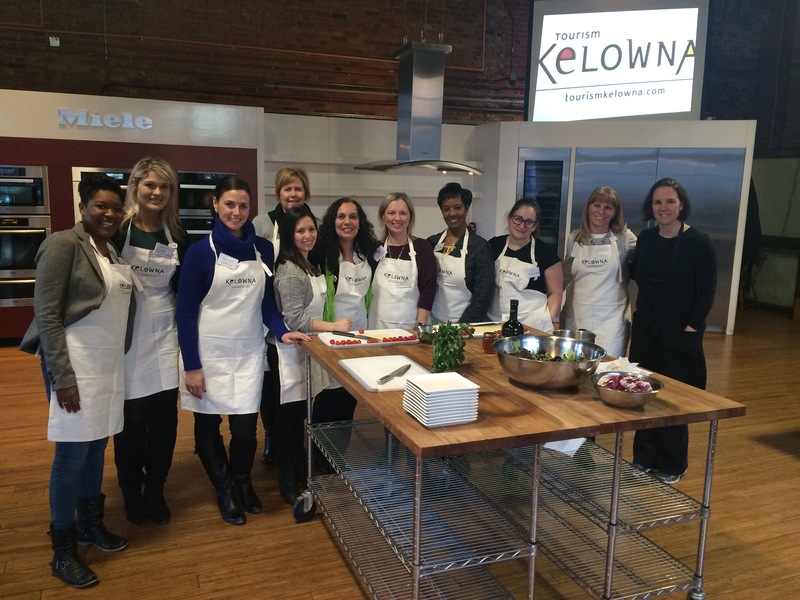 Last week, Tourism Kelowna hosted nine meeting planners from Toronto for an interactive cooking class and taste of Kelowna. Toronto-based Pat Gappmayr welcomed our clients to a state-of-the-art kitchen in the St. Lawrence Market for a fun-filled evening all about Kelowna and its fantastic and fresh ingredients. The group sipped local wines throughout the evening as they worked with local ingredients to prepare a gourmet meal. The result was a fun and interactive way to share ideas and information about our meeting facilities and the great culinary experiences delegates enjoy while in Kelowna. The event was a great success and participants left with full stomach, a head full of ideas for their next conference or event and a better understanding about what Tourism Kelowna can do to assist them. 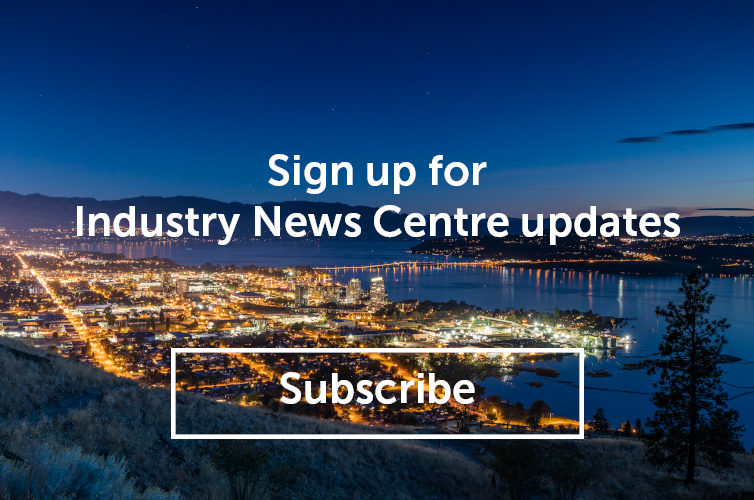 For information on this and other sales initiatives please contact Jennifer Horsnell at jennifer@tourismkelowna.com or at 250-861-1515 ext 206.